Shaolin (Mountain top boxing, Tiger/Crane form and walking cane form). These arts include both unarmed and armed fighting methods. The system is named after its founder Chen Pan-Ling, a man cited by Chinese martial historians Donn F Draeger and Robert W Smith in their book Comprehensive Asian Fighting Arts as "perhaps the leading authority on Chinese Boxing..." of his time. The Chen Pan Ling system is taught both separately and as part of the more comprehensive Wu-Wei Dao syllabus. The choice is yours! Grandmaster Chen Pan Ling's impressive lineage in all the above arts stretches back into antiquity, to the very original founders. Shifu Dan is privileged to be a direct student of Chen Pan-Ling's son and heir Chen Yun-Ching. Master Chen Yun Ching lives and teaches in Taizhong, Taiwan, but makes regular visits to Australia to teach his father's art. 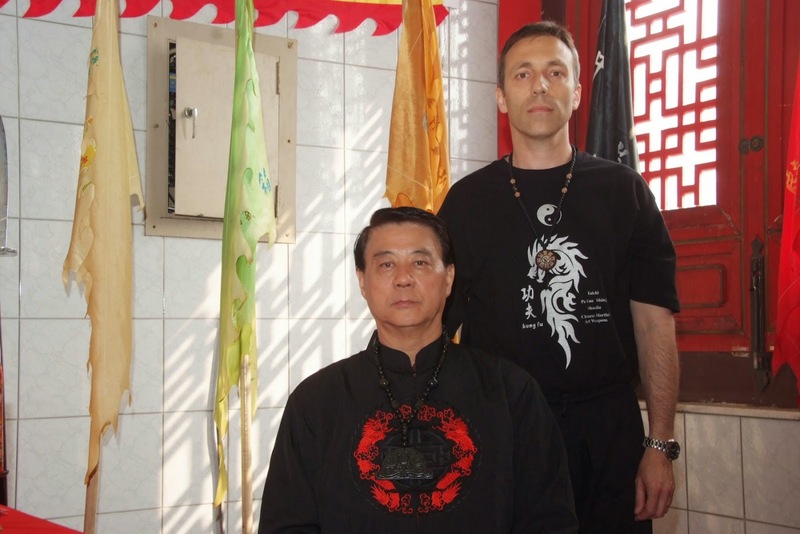 In January 2009 Shifu Dan was accorded the honour of being accepted as a bai shi or inner circle student of Master Chen in a ceremony in Kaohsiung, Taiwan. The Academy is committed to the preservation of this rare and truly profound martial system. The Academy is also one of the few schools in Perth, Western Australia to teach the rare internal (soft) arts of xingyiquan (h'sing-i ch'uan) and baguazhang (pa kua chang). For more about Chen Pan Ling see the Chen Pan-Ling Foundation and also http://www.jamessumarac.com/cikf3.html. In addition to the Chen Pan Ling family system, the Academy also teaches various other Shaolin gong fu forms in its karate classes. The Academy's logo comprises the "t'ai chi" (yin and yang or "supreme ultimate") superimposed by the symbol of both karate and kung fu - the fist. Accordingly the logo is a literal representation of "t'ai chi ch'uan" or "supreme ultimate fist".